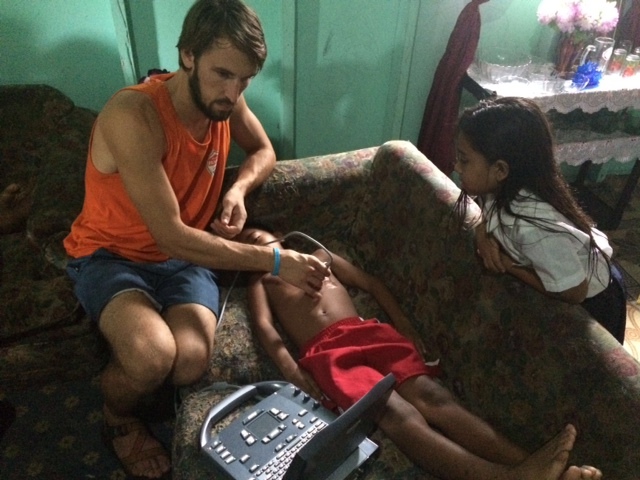 It is difficult to explain the transformation that happens while you volunteer with the Floating Doctors. 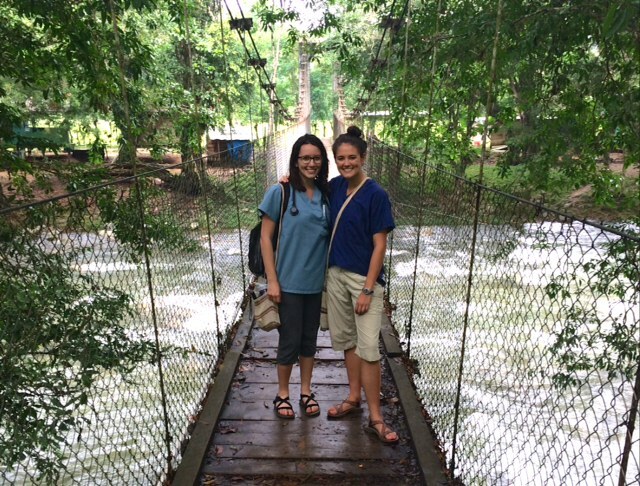 For the group of us nine medical students there were six months of planning, coordinating, and fundraising topped off with much anticipation and excitement. sting impact beyond our eight week summer. Soon enough we were in Panama, working along side Dr. Ben and Floating Doctors doing just that- educating and empowering the locals, and giving them the tools to sustain the improved health of their communities. 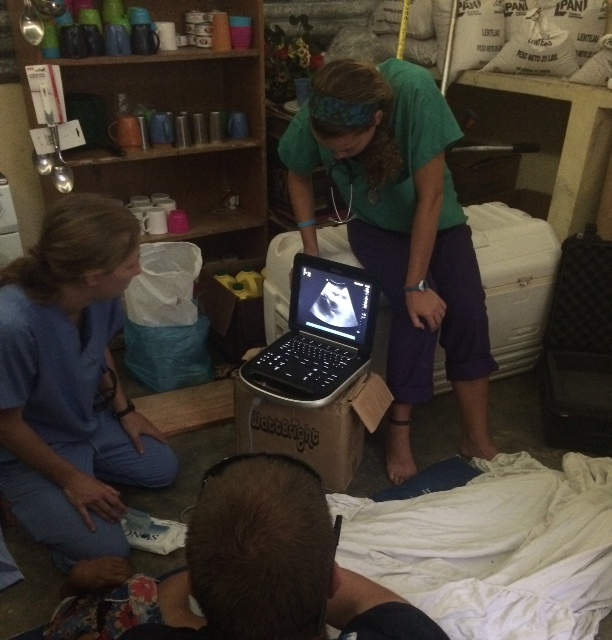 As UC Irvine medical students, ultrasound is a part of our curriculum. Working with Floating Doctors validated just how useful portable ultrasound technology is in resource-limited settings. We were able to inform a pregnant woman that she had placenta previa, an extremely dangerous condition that can be fatal during childbirth. Floating Doctors provided transportation to the woman from her residence on a remote island to a nearby hospital, where she safely had a cesarean section. She and her baby are alive, and that would most likely not be the case without the ultrasound screening, and without the assistance provided by Floating Doctors. Throughout our cumulative eight weeks with Floating Doctors, we were able to forewarn many women with high-risk pregnancies, and children with congenital heart defects that they should seek attention from a hospital to receive life-saving treatment. 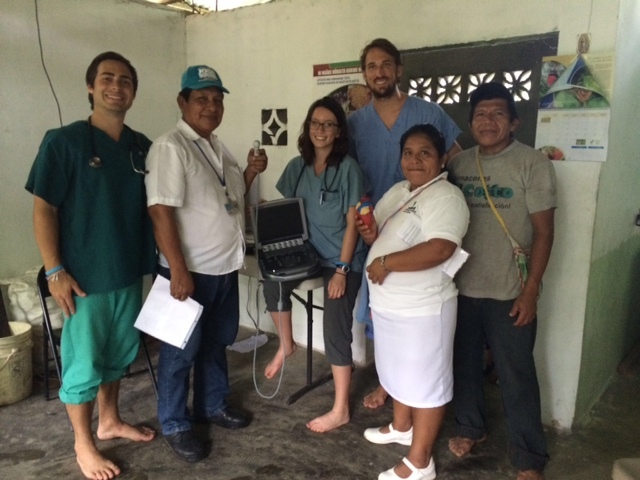 Floating Doctors experience with a goal- to make a sustainable impact while improving our clinical skills, but we ended up coming out with so much more than that. The greatest lessons learned weren’t which ultrasound probe worked best to assess fetal head diameter or which view of the heart was easiest to get on a small child. The most profound lesson was discovering what being a healer meant for each of us. Everyone goes to medical school for slightly different reasons, but the underlying theme for all of us is that we want to improve the lives of others. When working and learning in the United States it can be easy to lose sight of the human aspect of medicine. Your time is limited with each patient, you send your patients to get X-rays, CT scans, blood tests. To some, a patient can become a list of lab values and radiology reports who can be treated with a medication. Every hospital needs to have the latest equipment to make that list of lab values and radiology reports that much more accurate. But that is not what medicine is about, and working with Floating Doctors helped us remember what it means to be a healer. We made house calls and lived along side the Ngobe people. We got to know each patient as a whole person and took as much time as we needed with each patient. We didn’t close the clinic at 5:00pm, we closed the clinic when there were no patients left. Many times we saw patients into the night with our headlamps as our only source of light. That’s what the Floating Doctors experience, and medicine, is all about: providing healthcare to people in need. With Dr. Ben and his fearless team as a model we learned what a privilege it was to be let into the lives of people in their moments of need and how as providers we are in the unique position do something to make it better. We have learned that being a healer means doing the best you can with what you can. It means putting in the extra work to figure out what is going on when things are unclear. It means asking for help when you can’t solve a problem on your own. It means being reliable and keeping your word. It means carrying this sense of awe and responsibility with us for the rest of our careers. Our Floating Doctors experience has undoubtedly influenced each and every one of us, and we will all be better physicians because of our experience.